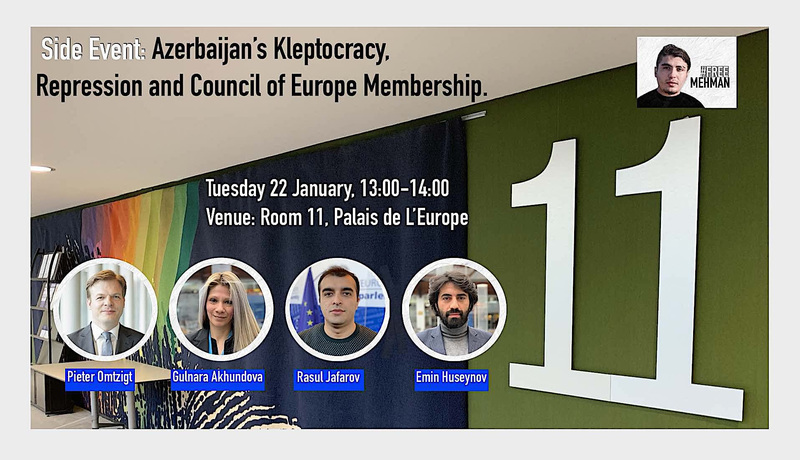 The Institute for Reporters’ Freedom and Safety cordially invites you to a side event: Azerbaijan’s Kleptocracy, Repression and Council of Europe Membership. What can PACE do to hold the human rights abusers and those who help fuel repression accountable? Business as usual is no longer an option. Our speakers will discuss concrete, feasible strategies to address impunity for human rights violations in the Council of Europe area.